The government is worried over sudden surge in imports of the precious metal from South Korea, with which India has a free trade agreement (FTA) since January 2010. Gold imports from South Korea jumped to $338.6 million during July 1 and August 3 this year. 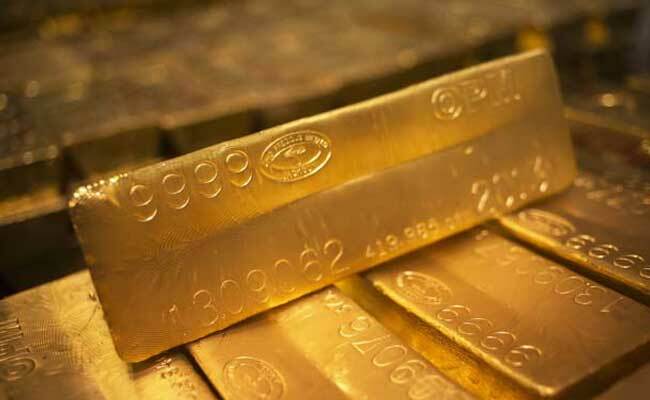 New Delhi: The Customs authorities have decided to examine thoroughly the consignments of gold coming from South Korea to ensure that there is no violation of provisions of free trade agreement, a senior official said. The issue was deliberated upon in details during a meeting last week of the department of commerce, customs authorities, officials of economic affairs and the Reserve Bank. Gold imports from South Korea jumped to $338.6 million during July 1 and August 3 this year. In contrast, the import in the entire 2016-17 fiscal amounted to only $70.46 million. During the meeting, custom officials stated that gold from Korea is being imported using the FTA provisions. "Every consignment is cleared based on self-assessment, but now customs will make it more stringent and in case of any doubt it could start provisional assessment and take bank guarantee from importers," the official said. "This might reduce gold imports a little as the consignment will be checked thoroughly and importers might not want to block capital by giving bank guarantees," the official added. Further, the customs authorities has also suggested to the commerce department to consider amending provisions related to value addition of the FTA with South Korea. "The value addition requirement in this FTA is much less compared to what India has with other ASEAN (Association of South east Asian Nations) nations," the official said, adding that the customs also expressed issues with regard to FTAs with other countries. The Customs wing in the finance ministry suggested that the value addition clause should be better drafted in these agreements so that exporters and importers do not take unnecessary benefit of this clause. Imposing safeguard duty on gold imports was considered but ruled out as it is a long drawn process involving investigations. According to gems and jewellery industry experts, rising imports pulled down domestic prices which is a positive thing for consumers in the ensuing festive season. Under the FTA between India and South Korea, basic customs duty on gold was eliminated. Further, the 12.5 per cent countervailing duty on gold imports has been subsumed in the Goods and Services Tax (GST). Accordingly, the imports now attract only 3 per cent Integrated GST (IGST). India is the world's second biggest gold consumer after China. The imports mainly take care of demand by the jewellery industry. India has implemented FTAs with countries including Japan, the ASEAN grouping and Singapore. The collections from customs duty and IGST from import of all commodities post the implementation of GST has almost doubled to Rs 30,000 crore in July. Gold imports contributed significantly to this increased collection. The revenue collected include those on account of customs duty, Integrated-GST (IGST) from imports, Countervailing Duty (CVD), special addition duty (SAD) and cess collection on imported items.